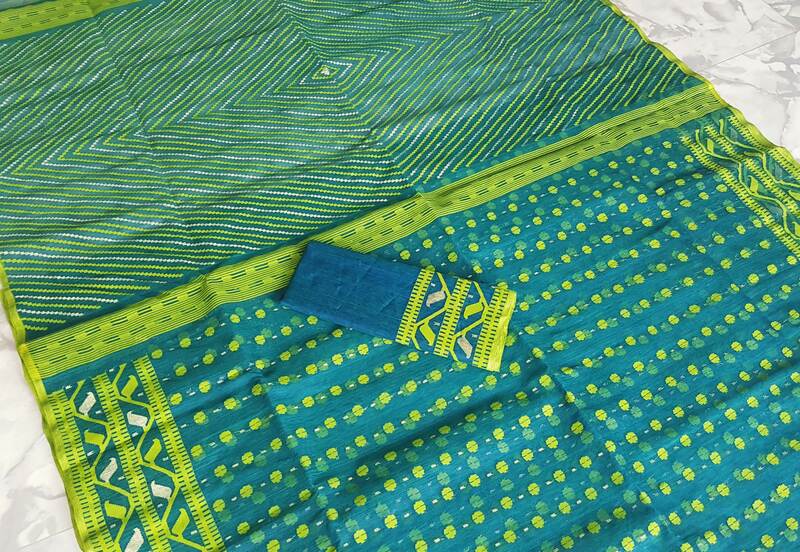 Exclusive quality half silk jamdani saree. Its also called dhakai jamdani saree. All over 40 count silk and cotton thread. Designer saree. 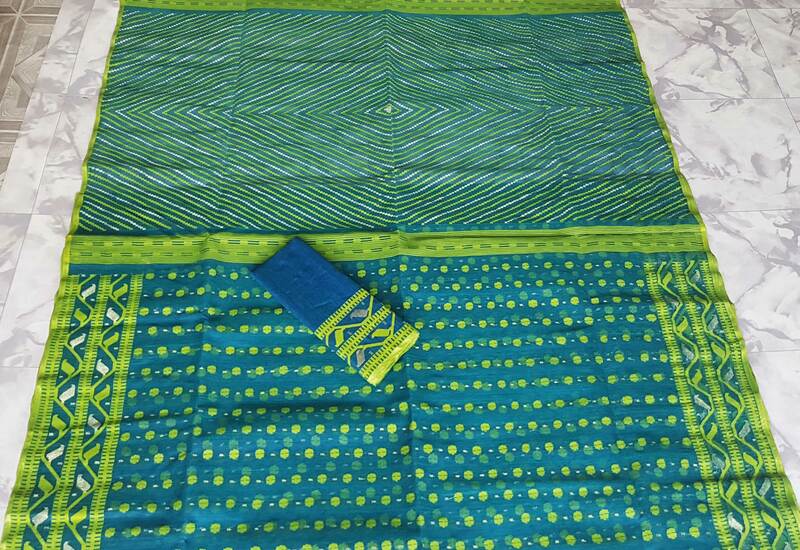 This saree comes with matching blouse piece. Very gorgeous one for bridal collections. Double paar and very different anchol and body motif.